Everything You Need to Know About Cannabis Sativa is Here! One of the basic things about cannabis is that we can divide it into three types: sativa, indica, and hybrid. Although all of these come from the same kind of Cannabis Sativa L, they are slightly different when it comes to both their look and effects on the body and mind. Moreover, each strain comes with its own specific characteristics and cannabinoid profiles. Thus, it’s good to know the difference between sativa, indica, and hybrid, in order to choose the perfect strain for your needs. Most people seem to like consuming sativa strains the most, as it comes with a range of positive effects, keeping the user uplifted and energized. This kind of cannabis grows quite tall, reaching up to 25 feet. Sativas have long, narrow leaves, and their seeds are very soft to the touch. Although it’s the most desirable type of marijuana, the plant needs its time to grow, and it develops a bit longer than other cannabis plants. What are the Origins of Sativa? 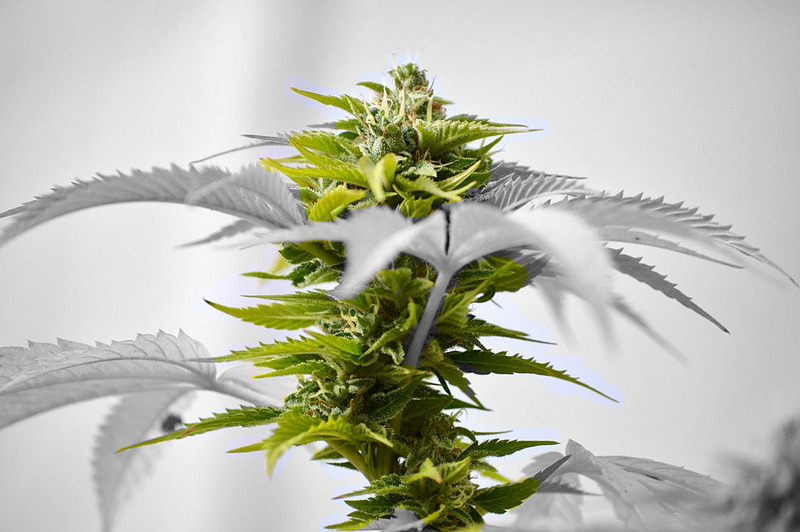 Originally, sativas were developed in hot areas, such as Mexico, India, Colombia, Thailand, southern Africa, Vietnam, Cambodia, Laos, Nepal, and the Philippines. This type of cannabis was also found in Brazil, Mexico, Hawaii, Panama, Ecuador, and of course Jamaica. What are the Effects of Sativa? Although you’re not going to get typically stoned from using sativa, the strain comes with an uplifting and stimulating high, which is more cerebral than the indica effect. It can also induce creativity and is perfect for a wake and bake to promote focus and open you up to new, fresh ideas. While raising your energy during the day, sativas are also packed with valuable cannabinoids, which makes them helpful for medical marijuana patients. The obvious benefit associated with sativas is their ability to boost creativity, giving us euphoria, racing ideas, and increasing focus. These strains can be extremely helpful during daytime activities, as there’s absolutely nothing like a morning kick of energy straight from a sativa strain. As for the medicinal use of marijuana, sativas may work great when it comes to fighting depression, fatigue, ADD, mood disorders, and more. These strains work perfectly in terms of increasing mental focus, which is why they can be used as both recreational and medical marijuana. Why It’s Better to Buy Than Grow Your Own Sativa Strain? Although growing your own pot seems to be a trend right now, it’s not that easy when it comes to sativa strains. As I mentioned before, these grow really tall, and most people growing 1 or 2 plants cultivate them indoors. Because sativas grow rapidly during the vegetative stage, not many growers have enough space to accommodate them indoors. Thus, these plants are usually grown outdoors by professional growers. If you’re interested in trying a good sativa strain, consider hitting your nearby dispensary or browse some strains online. How to Tell the Difference Between Sativa and Indica? There are many factors to differentiate sativas from indicas. First of all, look at dried buds, as they have some noticeable physical differences. Sativa strains have long and thin leaves, same as the buds they produce. Sativa buds are light and loose with wispy hairs. Additionally, many sativa buds have orange or red shades. Although these buds are looser and thinner than indica’s, sativa buds usually look larger. While there is a wide range of strains available these days, there are some legendary and iconic types of sativas you should know about. ● Trainwreck is a sativa strain that comes with an intense high, inducing cognitive effects in addition to a mellowing body effect. Medical marijuana patients usually choose Trainwreck to relieve stress, pain, anxiety, but also insomnia and PTSD. Although it’s super potent, you can comfortably use it throughout the day, as it provides energizing and uplifting effects. ● Amnesia Haze, offering a tremendously potent sativa high, is a descendant of a Jamaican sativa strain, an Afghani Hawaiian strain, and a Laotian Sativa. The strain comes with a creative, happy and energetic high, which makes it perfect for daytime use. As for the medical use of Amnesia Haze, it may relieve chronic pain, depression, migraines, anxiety, fatigue, and more. As for the flavors, it has a legendary fruity hash-like taste with citrus scents. Amnesia haze smells a bit earthy, but also sweet and citrus. ● Sour Diesel is another popular sativa strain, offering 19% to even 26% of THC for an energizing cerebral high. With this strain, you can look forward to a high like no other. As a typical sativa cannabis strain, Sour Diesel induces invigorating cerebral high and boosts creativity. If you’re looking for medical benefits of marijuana, this sativa may be helpful in fighting anxiety, chronic fatigue, and depression. ● Super Silver Haze is a delicious sativa strain, as it tastes creamy and sweet with delicate, fruity notes. The strain creates a powerful body-centered high and comes with up to 23% of THC. As for the medical use of Super Silver Haze, it may be beneficial in terms of relieving chronic pain, migraines, stress, depression, nausea, and even bipolar disorder. ● Ghost Train Haze is known for inducing the most intense high with its 27% of THC. In fact, the strain is also known as “the Most Potent Strain on Earth”, as the High Times Magazine named it back in 2012. This strain is not for beginners, as it may induce an almost psychedelic effect. Thus, when heavy smoked, Ghost Train Haze may lead to paranoia and anxiety. However, if used in smaller amounts, this sativa may help you fight depression, as it stimulates laughter and induces happy mood. Moreover, it may relieve chronic pain, fatigue, migraine, arthritis, stress, and inflammation. To sum up, sativas are associated with energizing and creative high, which makes them perfect to get you through your busy day. Do you have any favorite sativa strains? Check out our High Quality and Best Price Guaranteed Sativa. Order Now! Previous Previous post: Find Out Everything You Need to Know About Cannabis Indica! Next Next post: How to Tell the Difference Between Good and Bad Marijuana?